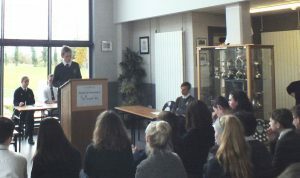 Over the years Sligo Grammar School has been involved in debating and public speaking. In recent years both have become popular and we have set up SGS DebSoc. The Society meets every week in the Khansama. Ms Hynes anf Ms Finnerty are the teachers in charge and they teach the students the skills of public speaking and debating. The school enters competitions during the year. 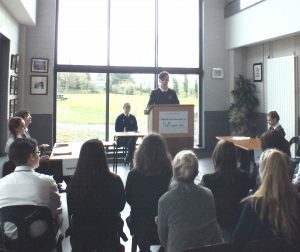 In TY all students get to learn the skills of debating and public speaking in a seven week module. 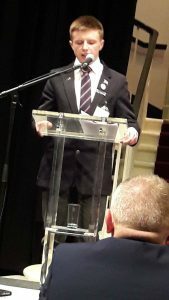 Well done to 6th yr. Juno Ellison who was one of three students to win the regional Youth Leadership Development Competition. An all-expenses-paid trip to Europe is her prize! Juno will visit Stormont and the Dáil where she will meet with politicians and business leaders, and then she will travel to Strasbourg where she will debate a variety of motions in the European Parliament. Juno had to do two interviews where she discussed her achievements in leadership and planning and organisation as well as her work experience and personal achievements. Juno’s active Transition Year and her involvement in school activities paid off in this as did her successes in debating. For the interviews she also had to demonstrate a good knowledge and critical understanding of social, environmental and political issues in Europe and Ireland. a well deserved win, Juno! 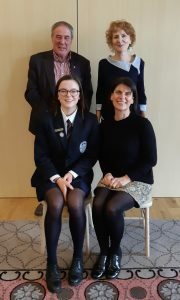 Pictured with Juno are Máire Hynes, teacher, and Pat McNulty and Arnie Griffin of Rotary, Sligo. Arnie is also a past teacher of History at SGS! Well done to all our competitors this year and especially first Year Alfie Barron who came second in the U18 competition. A new competition was inaugurated in 2017. The local Europe Direct office organise a debate for local schools . It is sponsored by the Sligo County Council and is held in the Council chamber during the final term. 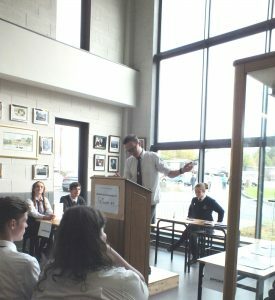 The school enters the Concern Debating competition which debates issues concerning the developing world and human rights. 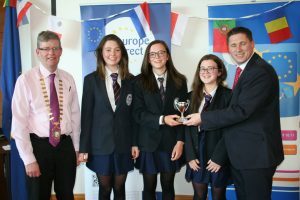 Sligo Grammar School has had great success in the Soapbox Public Speaking Competition. 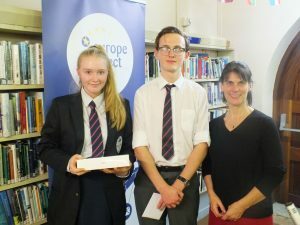 We have had National Finalists from the school for the past three years.This competition is run by Europe Direct and each competitor had to deliver a three-minute speech on a specific topic. The SGS DebSoc had a very successful term. A lot of 1st and 2nd year students joined and are enjoying the weekly activities. Ms Aoife Finnerty has joined Ms Hynes in running the society which meets on alternate Tuesdays and Wednesdays. 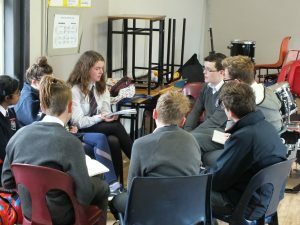 The term started with a trip to NUIG for a Debating Day. 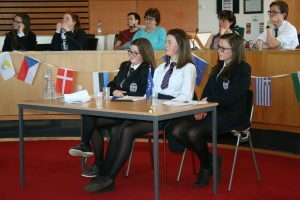 A group of about 15 students went to Galway and did workshops in debating skills followed by debating competitions. Robyn Scott and Caoilte Brannigan emerged as winners that day. 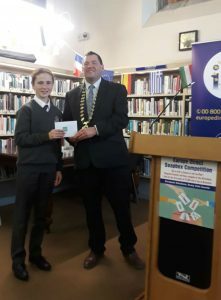 Genvieve Cox continued the SGS tradition when she won the regional Soapbox Public Speaking competition and went on to represent the region at the National Finals in Dublin. The runner-up in the regional competition was Aidan O’Reilly. 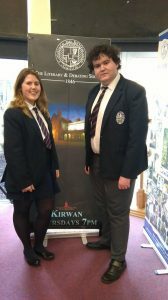 For the first time in a number of years SGS debaters are involved in the prestigious Concern Debates competition. A team of four 5th year students, ably assisted by their researchers, have won 4 out of 4 debates in the league phase of the competition. This fantastic record should see us into the second phase of the Concern Debates. 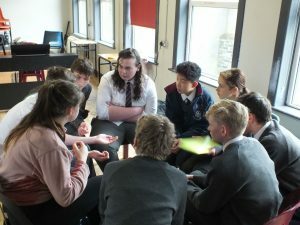 A group of three TY students gave up a weekend to do a residential debating workshop in Galway in November. 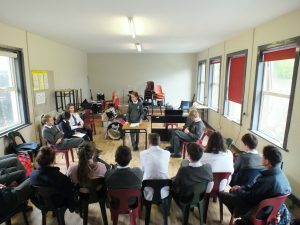 This was funded by the EU and aimed to develop discussion and debating skills in a Mock European Parliament scenario. The New Year will see moore opportunities for our debaters and anyone who wishes to join the SGS DebSoc is more than welcome! 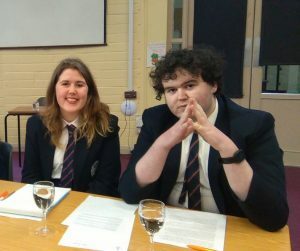 This year our team of Russell Nairn and Niamh Kilroy got through to the Finals of the West of Ireland Schools Debating competition but could not attend the final – which was held in SGS – because of their mock exams. Bad timing! 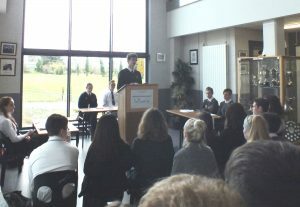 Russell also qualified for the National Trials of the Team Ireland Debating Team. Unfortunately he did not get onto the National team, but we were very proud of his achievement. 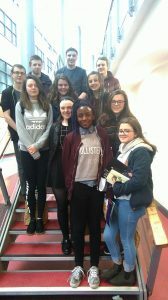 Our TY team along with some Seniors went along to Galway to compete in the Cambridge Schools Debating competition. 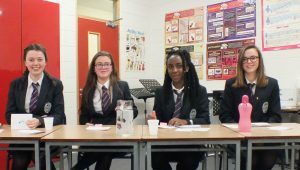 The debates were very exciting and our new debaters did very well, though did not emerge as winners. Our team of TY students argued a very difficult motion valiantly but did not win the judges over, emerging as runners-up. The motion was “This House Believes that Volunteering does make a difference” and we were arguing against it – particularly difficult as Sligo is European Volunteering Capital for 2017! Last year Jude Perry was the Regional representative at the National Finals at the National Concert Hall. 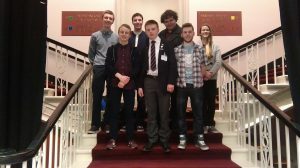 In previous years Russell Nairn and Rowan Kelleher were the National Finalists from the region. This competition is run by Europe Direct and each competitor had to deliver a three-minute speech on a specific topic.